Focusing on mobility, religion, and belonging, the volume contributes to transatlantic anthropology and history by bringing together religion, cultural heritage and placemaking in the Atlantic world. The entanglements of these domains are ethnographically scrutinized to perceive the connections and disconnections of specific places which, despite a common history, are today very different in terms of secular regimes and the presence of religion in the public sphere. 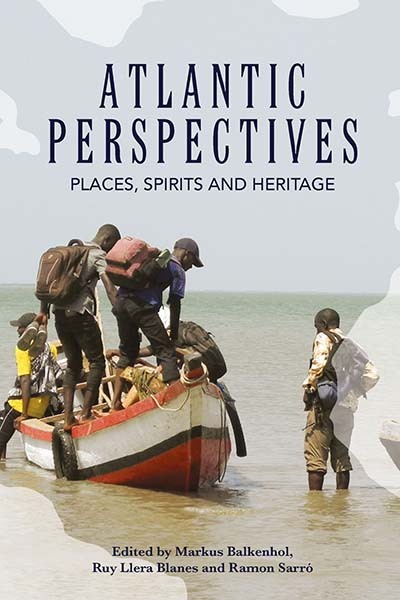 Ideally suited to a variety of scholars and students in different fields, Atlantic Perspectives will lead to new debates and conversations throughout the fields of anthropology, religion and history. Markus Balkenhol is an anthropologist at the Meertens Institute (Amsterdam) who has done fieldwork in Suriname and the Netherlands. He works on issues of colonialism, race, citizenship, cultural heritage, and religion. He has published articles in Social Anthropology/Anthropologie Sociale, African Diaspora, and Journal of Ethnic and Migration Studies, and is co-editor of the forthcoming book The Secular Sacred. Emotions of Belonging and the Perils of Nation and Religion in Western Europe. Ruy Llera Blanes is a Senior Lecturer in Social Anthropology at the School of Global Studies of the University of Gothenburg. His current research site is Angola, where he is working on the topics of religion, mobility, politics, temporalities, and knowledge. His publications include A Prophetic Trajectory. Ideologies of Place, Time and Belonging in an Angolan Religious Movement (2014) and the volume The Social Life of Spirits (2013, edited with Diana Espírito Santo). He is also co-editor of the journal Advances in Research: Religion and Society. Ramon Sarró is an Associate Professor at the School of Anthropology and Museum Ethnography, University of Oxford. He has conducted fieldwork in Guinea, Guinea-Bissau, Democratic Republic of Congo, Angola and Portugal on prophetic movements and their legacies. He has published many articles and is the author of the monograph The Politics of Religious Change on the Upper Guinea Coast: Iconoclasm Done and Undone (2009).